An XXL hung door has the same characteristics as a conventional hung door… except for the dimensions, which are exceptional. Heinen specialises not only in high-performance doors but also in amazing dimensions! How big can an XXL hung door be? 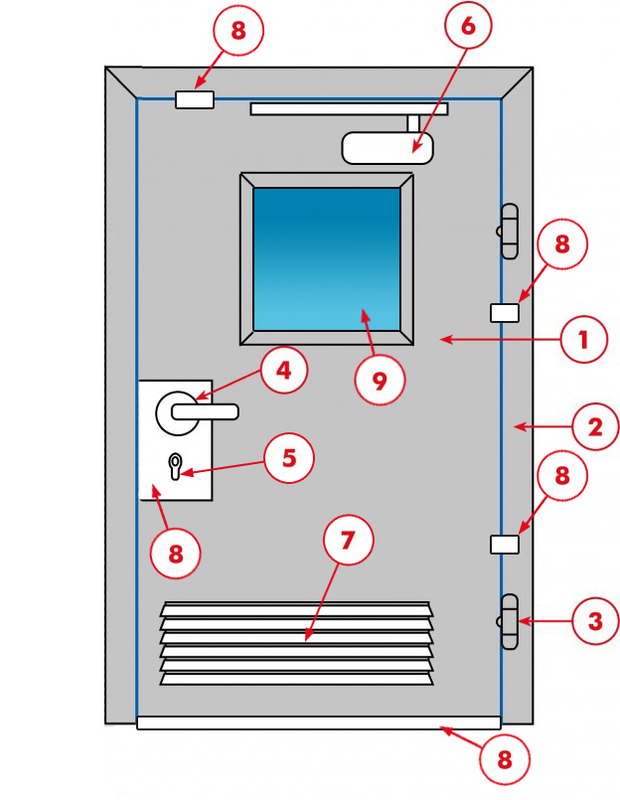 For example, you could opt for a fire-resistant XXL hung door (EI1 60 for instance) which will fill an opening up to 4.30 x 4.30 m and remain compliant! 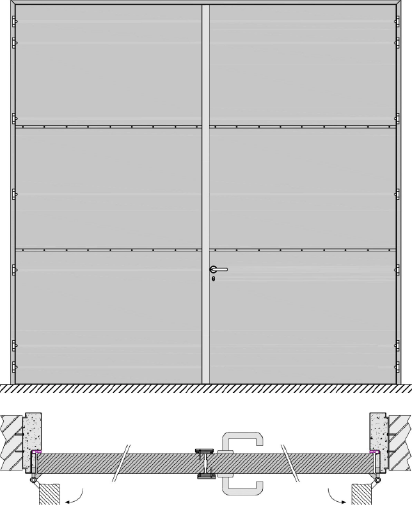 In addition, with an XXL basic Metal+ XXL door, you can fill openings up to 6 m high. Contact us for more information about the amazing dimensions of our hung doors. In addition to the basic features of the Metal+ door, you can add several performance features… which can be combined! For example, it is possible to have a door which is fire-resistant, burglary-resistant and provides acoustic protection at the same time! Stainless steel 304, 316 / skinplate white or colour of choice: wood motif, various colours, etc. With scissor arm or sliding arm, fitted on the hinge or non-hinge side, invisibly integrated door closer, closure selectors, open position maintained, etc. Door leaf position indicator, non-removable security studs, soundproof doorsills, door stops, storm chains, impact plates and many other fittings.